It's just a little over a week now until February which brings both my birthday and all things Valentine's. Haters call it a hallmark holiday, but I love celebrating all things LOVE. 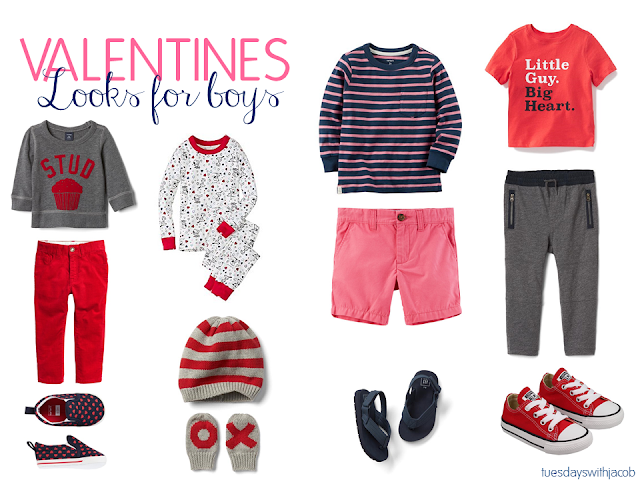 I've got lots of fun crafts and baking planned for the coming weeks, but today I've rounded up some festive looks for the little men in your life. Is it just me or is there always 10x more valentine's stuff for girls? I love a good challenge and I'm in smitten with these looks! I like to accessorize red and pink with shades of navy, black and gray to keep things masculine and fun. Jacob wore his "Little Guy. Big Heart." tee to story time at the library this week. He loves playing with all the library's toys and the other kids and it's always a pain to get him out of there at the end without screaming. 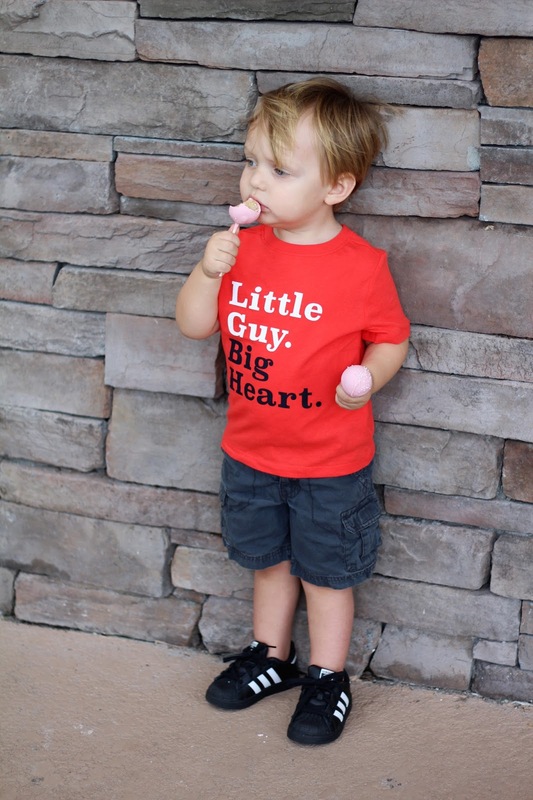 Thankfully we had made a coffee run prior and I still had cake pops to lure him out with minimal fuss. They were supposed to be for after dinner but, you do what you gotta do.